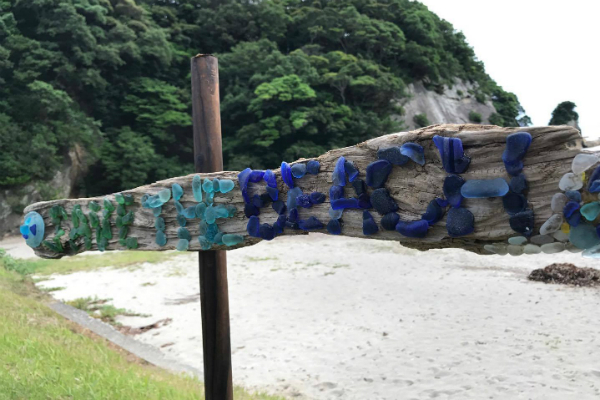 Chiko-cyan, an owner of the beach money shop BLUE BLUE, together with her friends who loves the beach placed the drift wood message board in Sakurahama. 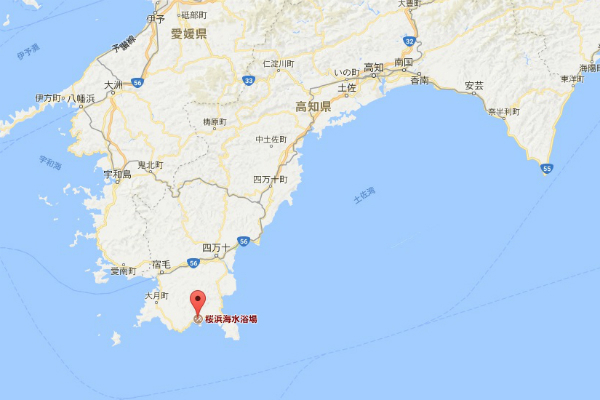 Checked with the google map, because the city(Tosasimizu) is located at very south of Shikoku, there are Ashizuri Kaiyoukan, Deep sea natural museum Ashizuri Kaiteikan and Ocean gallery etc., in walking distance, which is so excited for beach lovers. It is the second location from the first one where was Yumigahama at Minami Izu town of Kamo county in Shizuoka prefecture, where beach glass office is located. 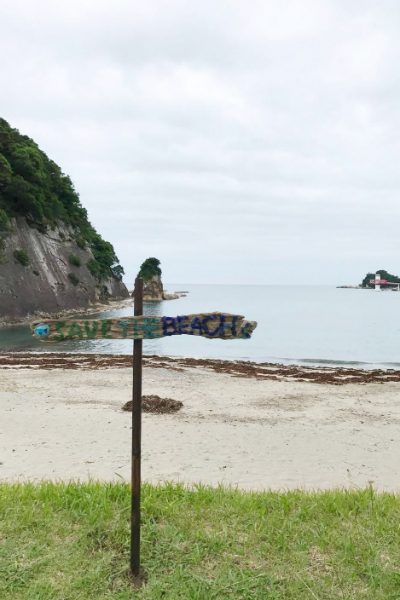 Thanks to Chiko cyan and support from the people of promotion association, application to the Ministry of Environment went without any problem and were able to place the board on the beach of Sakurahama where is assigned as national park. This board was actually made by my friend O, since university and his family in Chigasaki. 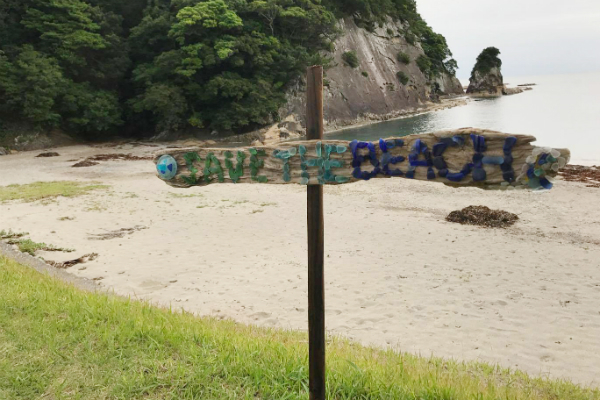 With colorful beach glasses, it says “SAVE THE BEACH” beautifully and it stood out among 10 boards. This placement must make my friends so proud. I deeply appreciate to Hasegawa family and Take cyan for planning this drift board message board. Getting the spirit and friends who love the ocean together and the result (placing the board at the beaches) is very precious and happy. I am sure that having these boards at the beach will make it even look brighter. These boards definitely have mysterious power. Also, one more drift wood message board is to be placed. No one but Chiko cyan could do this. I have to go see the actual site personally and convey my appreciation to the people of promotion association. . .